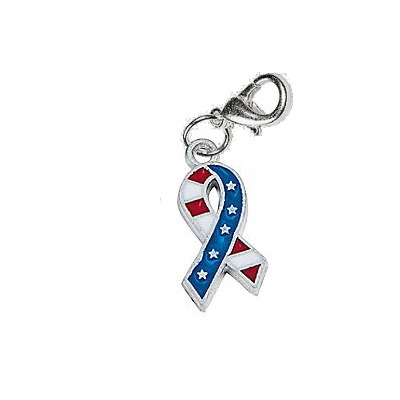 These metal stars and stripes, American flag ribbon charms are patriotic! The metal charm with colored enamel fill is 0.79" tall. Charm includes lobster type clasp for secure attachment.